Having seen so many American beauty bloggers use and rave about Tarte Cosmetics, I was really interested in trying out their products. 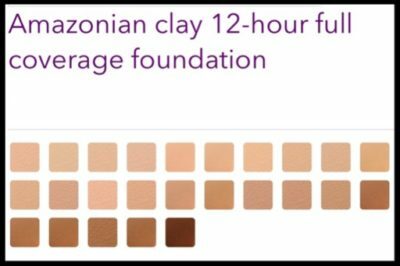 Any snaps or photos of anyone online that I seen using Tarte’s makeup especially their foundation, looked amazing and their skin flawless so I ordered the Amazonian Clay 12-hour full coverage foundation to see what all the fuss was about. Would it be as good as all the hype? Well in a nut shell yes!!!! It was everything and more I would look for in a foundation. As you can see from my barefaced selfie (sorry the horror of it!) but I felt it was necessary to show everyone the incredible difference this foundation makes. I have roseacea which can flare up quite bad at times, paired along with some oily skin which is just a nightmare, so I always look for a full coverage foundation. None of those dewy barely there foundations for me! With this brand not being available in any UK or Ireland stores I had to pretty much guess my shade and decided on Medium Honey. Below you can see the 25 shades that are available so there is a broad range of choice for every skin tone which I love. I hate when a brand brings out a foundation in only a few shades and you end up having the totally wrong colour or having to buy a couple of different shades to mix. Costing so much in the long run and not so good if you aren’t impressed with it. The texture reminds me of Illamasqua’s Rich Liquid foundation, however when you put on the Amazonian Clay foundation you literally feel like there is nothing on your face. 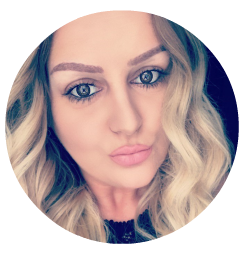 The Illamasqua is very heavy and shows up every crease, line and wrinkle. Whereas the Amazonian Clay glides onto your face and stays put. It doesn’t move away when you are blending it in. Some foundations start to come off whilst you are applying it but with this there isn’t an ounce of redness showing through. I had also ordered the buffer, which is an airbrush finish bamboo foundation brush by Tarte and let me tell you this brush is everything!!!! It helps apply the foundation quickly and smoothly resulting in a flawless finish. It is so easy to blend your foundation in and you only need a little product. The brush itself doesn’t go hard with the foundation on it unlike some other brushes and I only needed to clean the brush after a week. It is best to do this quite regularly anyway as you want to make sure your brushes are nice and clean and have no build up of dirt and bacteria, as that will only cause you to have breakouts and your makeup not sit well. So back to the foundation. Did it last? it definitely did, I applied it at 7.30am and at 11pm that night it was still going strong. I had in fairness a little bit of shine coming through but that is my skin in general, and normally with other foundations within less than an hour I would have to be adding powder or blotting with paper to remove the excess oil, so this Amazonian clay really did work wonders with keeping my shine at bay. Also what was amazing was that no redness was visible. We automatically touch our faces throughout the day without realising and a lot of makeup would rub off, but this didn’t. 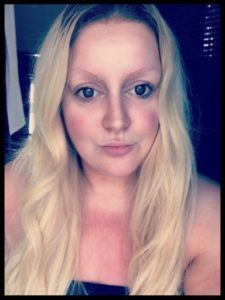 I had no redness at all and no makeup was sitting cakey or wrinkling which can happen as the day wears on with other foundations. 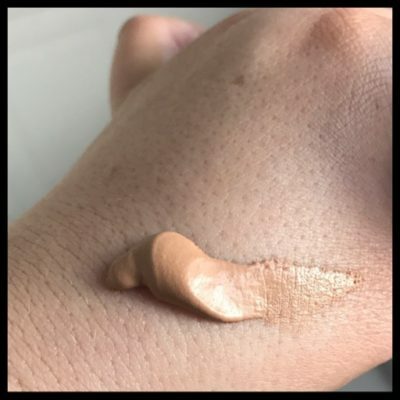 If you are wanting a full coverage flawless foundation that covers all imperfections, redness, rosacea, freckles, oily skin and is not heavy, then this is the foundation for you. I really hope that Tarte cosmetics will eventually make it’s way into department stores here in the UK and Ireland but in the meantime we can get our Tarte fix online. You can order either directly from tartecosmetics.com, although you will have to pay shipping cost from America and custom charges although if you spend over £60 then shipping is free. 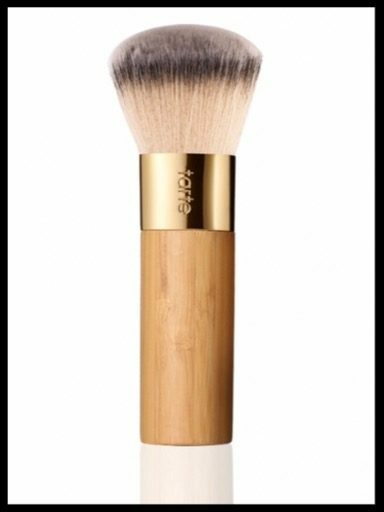 Direct from Tarte costmetics website the Amazonian Clay 12-hour foundation is £30 and the buffer airbrush finish bamboo foundation brush is £27. 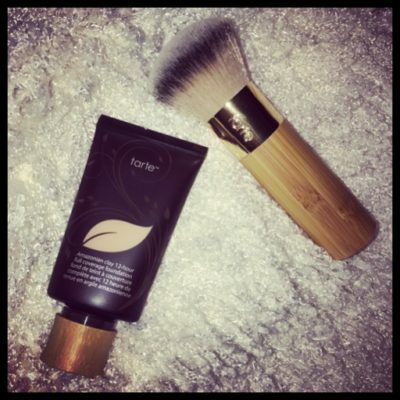 The brush is an investment and something you will use daily with all your other foundations and products. The foundation itself should last you a couple of months. I have had mine for over 5 weeks now, and if you follow me on snapchat you will see that I have it on every day and I have barely used a quarter of the foundation. 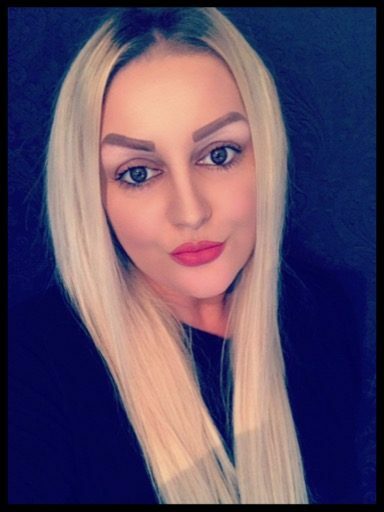 I would normally have to get a new foundation every month whereas I could definitely see me getting 2 months out of this. Hopefully you all have enjoyed my review and found it helpful. And to anyone who purchases the foundation I would love to hear from you and send me your selfies.